Chronicling Safia Manto, my grandmother would be no mean feat. A woman who lived in the shadow of her beloved husband and renowned short story writer, Saadat Hassan Manto, her story went largely untold till the recent release of Manto: The Film. She has only lived in the folklore of my dreams, I being born 6 years after her untimely demise in November 1977. As much I have heard from familial sources about her magnanimity, humility as a human being besotted with a kindred heart and soul I cannot even fathom what I missed out on. Sometimes fate and destiny are so closely intertwined, that we seem powerless to change the impact it can leave. Missing her out was somewhat destined to happen, her absence being filled in by her youngest sister Zakia Hamid Jalal who has been equally affectionate, loving and caring towards all her grandchildren till date. Safia Manto, had an impact on the lives of many, ranging from her husband, daughters to all the family members that have nothing but fond memories of a lady who showered nothing but love and affection towards them. Chartering through the life of Safia Manto, is like a woven fabric broken from one end but repaired from the other. Her struggles, compassion and challenges she faced throughout her life were immense. Immersed in a period of happiness to downright abject pain, she lived through life smiling and spreading only love all around her peers. Her personality didn’t have many facets besides it was interwoven with simplicity, innocence and forbearance to the core. All throughout her life she bore a hallmark of patience and sustenance, and her large heartedness was particularly striking. Even her proclivity in the light of abject financial stress didn’t hamper her hospitality in any given manner. Safia’s relationship with Manto, was an emotional bond that transcended everything else. 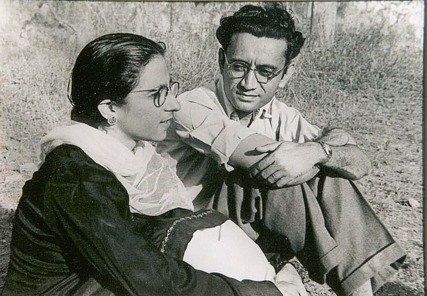 In the immediate aftermath after their marriage, Manto documented the commonalities that they shared which included a Kashmiri origin, both wore spectacles, the first letter in their names started from S, and their birthdays were on the 11th of May. Manto’s vicissitudes must have been a tough proposition for Safia to handle. The ingenuity at play with Manto, coupled with streaks of intellectual arrogance and his tenuous relationships with his co-workers must have made things difficult for her. Although his alcoholism wasn’t limited to social circles during his days in Bombay and Delhi, but that period also corresponded to some of his best days in financial terms. As her middle daughter Nuzhat shared, she rarely mentioned about the first 16 years spent in Kenya, but her fond remembrance for Bombay remained etched within her memories for ever. The period Manto spent working after his marriage to Safia in Delhi and Bombay had its share of highs and lows. In 1940, they both were blessed with a son they named Arif. It was a period of elation for the couple, especially Manto who showered all his love towards his newborn and tenderly took care of all his needs. But that happiness proved to be short-lived as Arif died prematurely within a year a few days shy of his first birthday. That was a rudimentary shock to the couple, left Manto devastated and broke him down completely. The worsening alcoholism of Manto, tempered with bouts of depression during those dark days must have tested Safia’s resolve deeply. Her pain threshold must have been alarmingly high, and the patience a testimony of the nerves she possessed. Safia’s loss as a mother must have been unbearable and unimaginable to the extent that her daughter Nuzhat recently disclosed that she never made even a scant mention about the loss of her first born, Arif. Probably the reason for not disclosing this was to reduce the pain she may have suffered as a mother, and in hindsight Manto’s depressiveness must have forced to act as a calming and strengthening force during that period. Safia’s influence and significance in Manto’s life cannot be underestimated in any regard. She was the love of Manto’s life in absolute terms of the word. His dedication and loyalty he owed to his beloved life was beyond any description. The extent to which Safia’s hold on Manto can be gauged from the fact that he published short stories like Hameed aur Hameeda which were penned in her name. Manto’s pinnacle as a writer financially reached its zenith in Bombay while he was working in the film industry in the mid 1940’s. Manto’s literary circle evolved and expanded in those days, giving Safia a glimpse of the present and future stars in the Hindi film industry of those days. 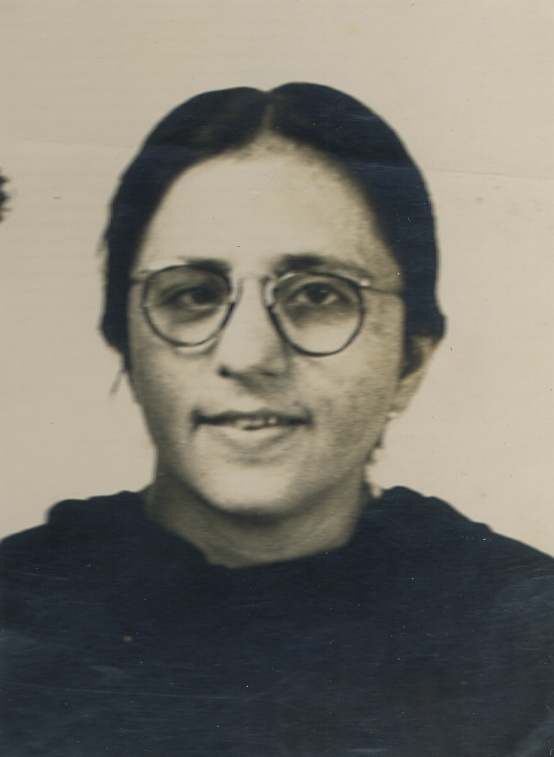 For example, as mentioned in Ayesha Jalal’s book Pity of Partition, Safia became good friends with Ashok Kumar’s wife and went shopping with her on a few occasions where the shopkeepers went out of the way to favour them both. Safia also shared a very close relationship with Nargis, the renowned film actress who was making her way up the ladder in the film industry during those days. After migrating to Pakistan in the aftermath of Partition, Manto’s financial woes only increased, persecution and a lack of work opportunities took its toll on him. That had obvious ramifications, he became a chronic alcoholic affecting his relationship with Safia who was upset at him being unable to provide financial support for her and their 3 daughters, two of whom were born after Partition. There came a time when Safia contemplated leaving Manto due to a variety of issues at play, unimaginable even for a serene woman like her. The duress associated with Manto’s dwindling earning power turning nil, must have also influenced Safia to take this gigantic step. 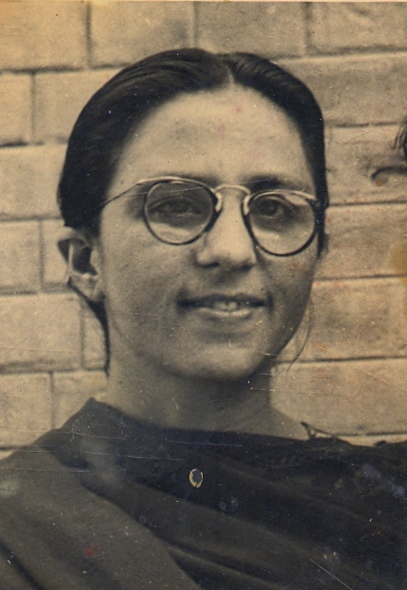 Thanks to a response penned by her beloved elder brother, Bashir Deen to the letter she sent, he advised Safia that since Manto was a sick man it wasn’t feasible to consider leaving in this situation. So she reconsidered her options and decided against it. 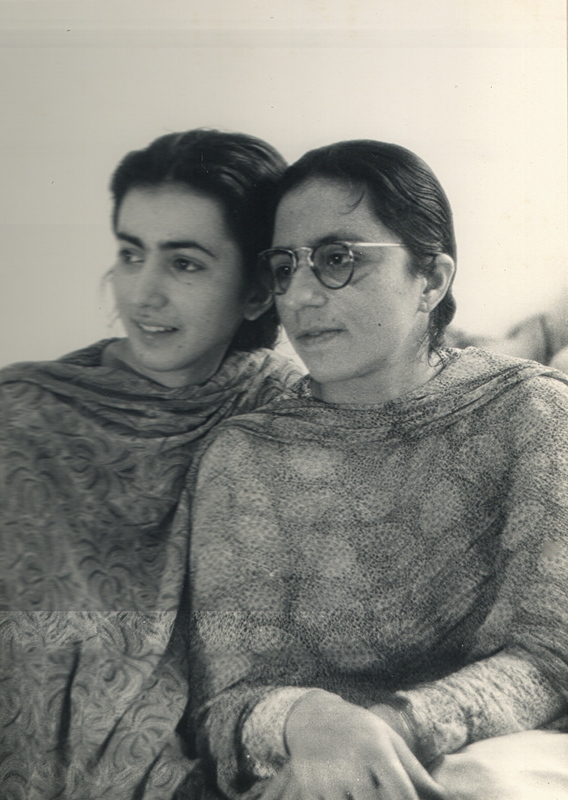 Safia used to accompany Manto to all the mushaira’s or public readings of his stories. This stands as a testing ground for her immeasurable support for a man who courted controversy and persecution within his wake to wherever he went. She had the tenacity and courage to face the wrath or applause of the public at large in context of the controversy Manto normally generated. 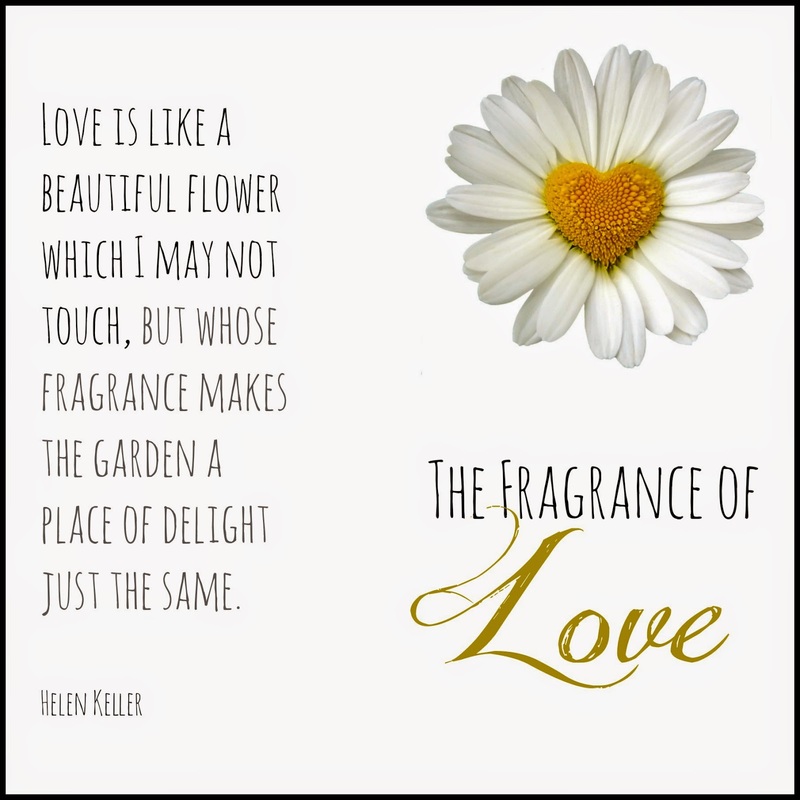 This also highlights the immense love and affection that accompanied their relationship which may have had its share of acrimonious moments but never stalled in any given manner. The support and resilience of Safia is worth commending considering the frailties of her husband which she embraced with great courage. 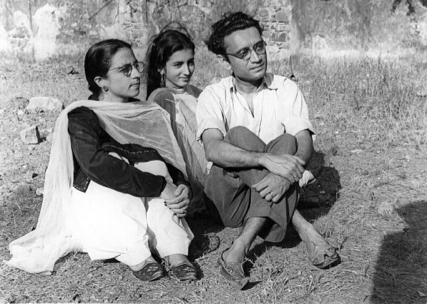 In Bombay, Safia’s simplicity augured Manto to act as her stylist and took it upon himself to ensure that his wife would indulge in the latest of fashions. From getting the most precious of Sari’s made; he ironed them and then stylishly photographed her. The close proximity and intimacy in their relationship, was a culmination of the understanding between the two and they complemented each other. Manto’s delusions in the last few years of his life, his fading health must have taken an emotional toll on Safia, who couldn’t see the misery of her beloved husband. After the death of Manto, the financial situation obviously didn’t improve in any regard. Thanks to the unending support of her mother, Mama Jee a towering personality in her own right, and also Hamid Jalal who helped her to raise their daughters up. Interestingly, as shared with me by Shahid Jalal, my maternal uncle, Safia due to her financial distress, she used to buy fruit at night time take the backdoor exit from her home and go to Beadon road to procure it. At her home in Lakshmi Mansion at any given moment of time it was a standard for 10-15 people to dine at her place inspite of all the financial hardships. As her daughters recall, she was a doting but protective mother a disciplinarian yet a bastion of truth and encouragement for them. She hardly ever received any financial aid from the government after the death of Manto in order to help bring up her daughters, royalty payments were scant to say the least. People kept commoditizing Manto knowing well that Safia was alive and kept publishing his works without paying any heed to the copyright laws. Financial compensation was hard to come by and a lack of adequate resources, guidance hardly ever came to her mind. Safia was a contented woman, by standing all the adversities she may have come across her iron resolve kept weeding it out till her dying breath. She had no materialistic aspirations, never got married after the death of Manto, considering she was almost 39 when she became a widow. Safia’s lifestyle was simplistic a reflection of her persona and practices she cherished the most. She hardly ever complained about her problems, confined them to herself totally. Safia Manto breathed her last in Karachi after suffering a cardiac arrest of the heart on November 23rd 1977. Image Credits: Ayesha Jalal is the legal copyright holder of all these photographs and they must not be used in any way without her express permission. Books used for research: Uncle Manto by Hamid Jalal from Black Milk, A Pity of Partition by Ayesha Jalal, Princeton Press 2013. The last few months had been benign so to speak, since the start of the year a lack of motivation had set in. The writers block had embedded itself so discretely that I was flabbergasting at myself. Till mid July this year, I had been unable to focus and write anything substantial so to speak off. Then suddenly, from nowhere came a person who is not only awe inspiring but has been able to help me transform completely and re-engineer myself as a writer. Sometimes, the motivation comes from the most unexpected of quarters, helping you reinvigorate yourself in a most unconventional manner. 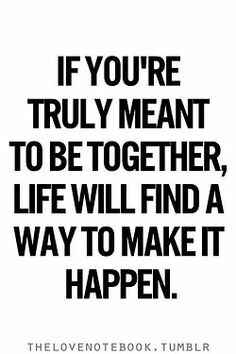 For me, the chance encounter two months ago with the concerned person has turned things around for me, totally. I was completely muddled up in a state of utter confusion, mired in a lack of self belief that I could not move forth as a writer. The passion, the endurance and zeal was lacking. 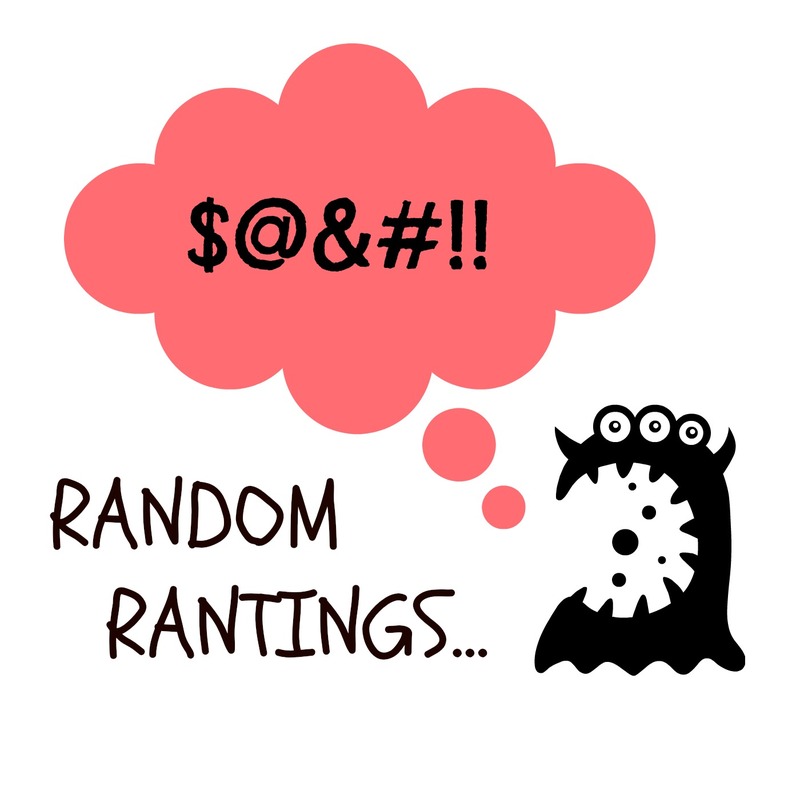 It transpired into a pittance of sorts, totally disconnected from reality and suddenly sharing a few thoughts here and there helped me figure out myself again. The fascinating aspect of this experience and interaction, was the directness and bluntness I came across. It just bamboozled me for a few days, it was like I was in a trance of sorts and seemed like a reality check was beckoning. The mere exchange of my negative thoughts that had blocked my arteries of thinking, stifled my creativity had suddenly burst open. It was a miracle of sorts, What was supposed to be a routine exchange of ideas and information, turned out to be a counter narrative force that ended up acting as a motivational and inspirational force. For me, it was exciting as well as foreboding at the very same time. I wondered, here was this individual unknown to me and a complete non entity had suddenly overwhelmed me with so much to ponder about, that I was listless in a way. I did not how to approach this rather strange phenomena that had occurred in my life, I was speechless and at a loss for words. You see there are times when your heart yearns for that kind of connection where it just clicks with someone, which is beyond any description. The chemistry and way of thinking seems alike, perspectives align in such a way, that it makes you wonder whether you were co-joined twins! I was like blown away by the supernatural experience in a manner of speaking, what destiny had been unveiled in my path was particularly striking but a complete unknown as most things are. As the interaction and exchanges, unfolded over a period of two months, never had I ever experienced such a compelling force of change within me. There was a desire to move forward and lurch towards the barriers that I should have broken years ago. The darkness that I had shoved myself into for over a decade, was clamoring for changes of expectations and imaginations. Suddenly, everything seemed topsy-turvy, more like a wheel of fortune rotating at such a great speed that I was failing to catch on with it. I wanted to grab that wheel of fortune and rotate with it to my destination unknown. The time spent sharing my experiences, thoughts with the concerned individual has made me realize, life is beautiful too. Beyond my shadows of self pity, remorselessness lies a realm of hope, full of desires, expectations and imaginations. The mere realization of those forbidden fruits of hope, enchanted and drove me towards it. As much I trod towards the concerned individual, my leaning and distances get ever shorter, but the last mile will always be the most challenging. 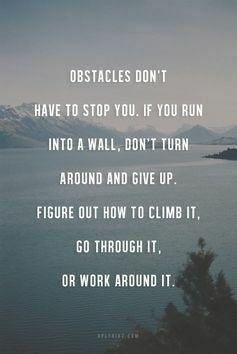 Challenges are meant to be accepted and taken on face value. The stream and the tide of time is against me, that person sitting atop such a peak that it is scalable but the path petrifying and full of obstacles. I endeavor, desire to reach and conquer that peak atop which that individual sits who has transformed me from within. I have found a reason to be alive and kicking again. Such is the profound resolution to astound all those who have created hindrances in my path to glory and shut them up for good. Astounding is the impact of that individual, such is the power they yield over me. Thanks to the benevolence of God, I have met this inspirational and motivational force at such a critical time, understood my mindset, rendered me stability that was lacking for so many years. I am in debt of this individual, who has come as an unforeseen force of love, affection and downright inspiration. I am listless in their presence, feel empowered and have profound hopes of contentment in the not so distant future. 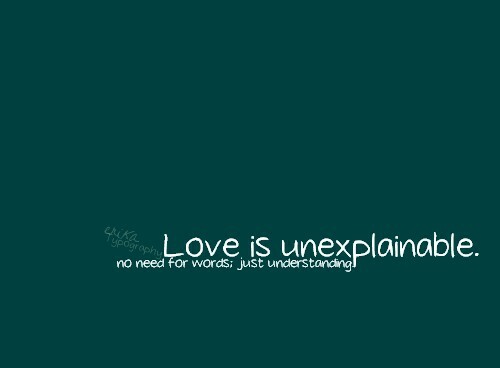 The concerned person holds a special place in my heart, identifying them is not a feasible option. Their depth of inner beauty, the heart of gold and the awe inspiration I have been provided in these two months speaks volume of their ingenuity. Very seldom, do we in this materialistic world come across individuals who exhibit such rare qualities of virtue, patience and sustenance. Motivational forces can work miracles, and in my testing case it has been till now a rewarding experience. I extend my gratitude and thanks to this amazing, awe inspiring individual who has give me a reason to love life and their presence has been nothing short of a miracle in every sense of the word. My mind behaves in a rather odd manner and oscillates one way or the other on a daily basis. Such is the power of over-thinking, that it can leave you helpless. As I was starting the day, I came across this rather obnoxious idea…Does inspiration drive creativity in any manner of speaking? Such were the oddities associated with this question in the back of my mind, that I decided to address it in a blog post today. There are moments in everybody’s lives when they are devoid of inspiration, are low due to some unforeseen circumstances they are encircled with. Moments of duress can at times overwhelm anyone in the manner that it takes down their level of performance and impacts their self belief. Whether is it a sportsman going through a rough patch, a painter or an artist failing to deliver what they want through their work, there is something amiss which bites in this respective situation. Hypothetically, these kind of adversities are very much a part of our life and have to be redressed in any manner of speaking. There can be a burgeoning light of sorts to help out drive inane minds by sheer inspiration. There is always this eureka moment in our lives, when everything we persist with keeps on failing irrespective of how much effort we put. At times, inspiration can come from within or from totally unexpected quarters. Inspiration can drive ambition, motivate and energize us to such an extent which is nigh unbelievable. From my own experiences, creativity is directly proportional to inspiration. Inspiration can empower the mind, unleash forces of creativity and give birth to such unbelievable ideas is beyond description. Inspiration can yoke in happiness, solitude and peace of mind mostly, but those with a disturbed disposition can also be deadly creative in their own ways. 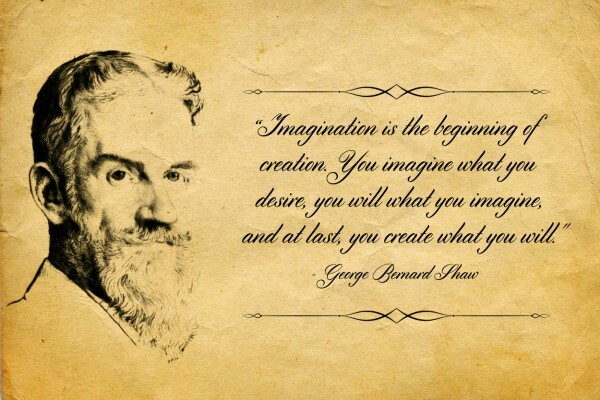 Inspiration gives birth to creativity, which in turn helps ideas to be generated. Hence it helps in driving to be passionate about encompassing creativity in whatever is being done and practiced at the end of the day. Creativity can help us delve into the deeper corners of our mind, enlighten and encourage to think in a more expansive way. Inspiration comes in various forms, for some it is spiritual in nature or in form of divine help, others garner their inner strength to inspire themselves. Creativity can reach the bleeding edge thanks to a bout of inspiration which can act as a catalyst to achieve breathtaking measures. Inspirational measures and creativity do not conform to the norms of things, it requires most of the time to think out of the box especially if trying to create something innovative. Innovation could be a temporary occurrence but its implications could have such a wider impact on our lives cannot be ruled out. It could result in complete inner transformation for the better, bring an element of aura and change you have never experienced before. 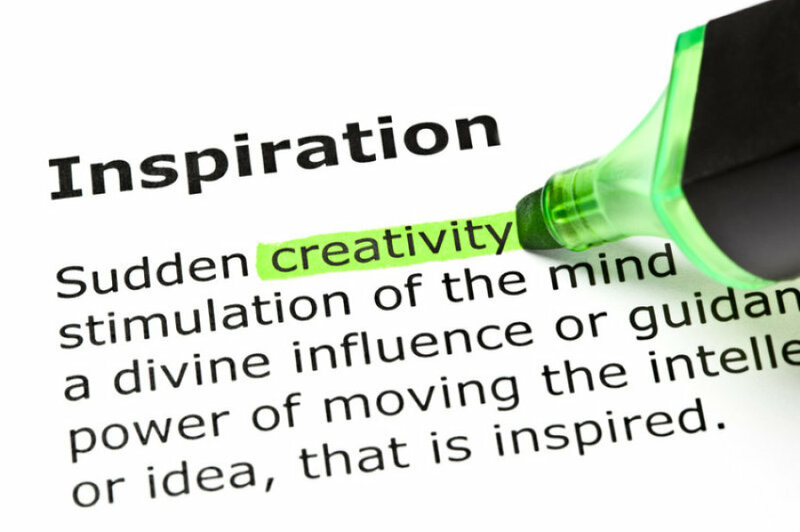 As mentioned earlier, inspiration can force-feed creativity which could help enhance productivity. Inspiration doesn’t suppress any practices but encourages creativity and a path to innovation. Inspiration can be energetic, thrilling and a largely positive thing to experience, depending on the circumstances totally. Inspiration can never be a souring or repeated experience, it doesn’t impend relaying the passionate desires of success and innovation. It is a force which gives impetus to uniqueness, splurges creativity to the very core. Inspiration doesn’t confine itself within any boundaries, its effects are felt far and wide. Never fear inspiration, embrace and make it a part of your daily lives. Peace seems to have been constrained, in its place replaced by violent retributions all around us. Peace is never that easy to achieve, triangulate and direct in a meaningful manner. Peace has its virtues, inner satisfaction being one of its major components. The interesting analogy that comes to mind is the prosperity factor of society in general that is linked to peace somehow. As much I debilitate over what truly peace encapsulates the results have been fascinating to say the least. 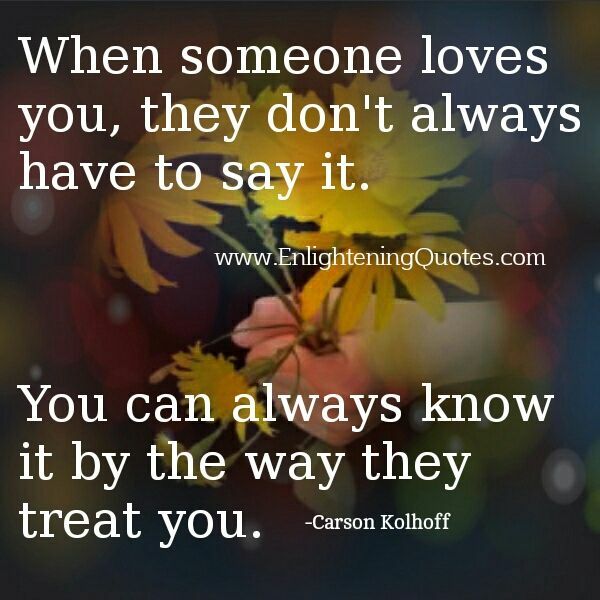 My experiences have rather been seeped in negativity, affiliated with rising self doubts since my teenage years. Peace has largely deserted me throughout my life, replaced by an abject desire to be disconnected with reality. Inner frustrations only tend to obviate peace and tranquil measures, they kill hope and the move towards the latter is a rather painful exercise. I have largely wanted to inculcate some much needed inner peace that would give rise to happiness. Inner peace, happiness and satisfaction are intertwined with each other, such is the close relationship they harbour with each other. Happiness can be faked with a smile on the exterior, but the innards suffer in absence of inner peace and tranquility. My experiences in achieving inner peace have largely been dodged by a inner sanctum of hate, disgust and lack of objectivity in my practices. When my indulgences with negativity have harboured such strong reactions from me, peace and tranquility have left so much to be desired. Wisdom can help us in sifting us through testing times, it can give to the prospect of achieving inner peace. When we embrace uncertainty, flirt with it to the extent that it leaves us delved from a point of no return. Peace has its strengths, giving rise to tranquility and helping wisdom. In times of stress, peace can be the embodiment of virtue and patience. As the stress seeps through our veins, sucking out energy and leaving us in jitters, inner peace can be that key to maintaining stability under duress. It is said that meditation can work wonders for people with a disturbed mindset, helping them ease out their worries and gain much needed inner peace. It is said to make the mind feel relaxed, improving overall perspective and bringing positive changes. Peace is largely a subset of the mind, its practices and actions. Behavioral aspect is in my opinion critically linked to peace and in unlocking its potential. For example, my mind has largely circulated in the realm of negative notions for God knows how long. My irritability, inner frustrations and innocuous behavior at large has largely been brooded by my instinct and gut feeling. I have been devoid to change, largely ignored it to keep myself in the comfort zone. As much fascination I warrant in my realm of negative potpourris, concocting imaginary tales to comfort myself, the world outside won’t care a damn. To be seen to bring a change needs constructive action, the will and the gut to act before it is too late. Peace will largely remain deliberately secluded in my case until and unless I warrant to bring the necessary modifications in my character. As it unravels, the reality seems to be a bystander observing the wheels of fortune. Whatever life may hold for us, perseverance is an absolute necessity. 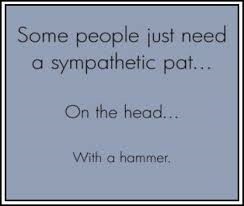 There tends to be an association with an affliction of self inflicted apathy. Nightmares can have their own outcomes. It’s fears cannot be fathomed by us. Focusing on the issues at large requires concentration, identifying the root causes e.t.c. The bridging of the divide is difficult, harrowing as it may sound. It thrives matter of insolence, our inner fears and deeds provoke this reaction. We refuse to inculcate peace into our daily lives, so hastened we are to trivial matters. Morons we are, subject to the whims of our deprecating thoughts. A blanket refusal to embrace tolerance on most matters is our undoing. As the rust piles up on our minds, its effects are withering. The method of comparability is deemed unfit for such characters. Progress demands sacrifice, sustenance in its wake. We are enchanted by things that are materialistic, construed in nature. Reference to the area we live in, clothes we wear and the car we drive are all class driven social stigmas. The society itself is insular,abject in nature. The company that we tag along with, is the assigned moniker that we end up being labeled with. 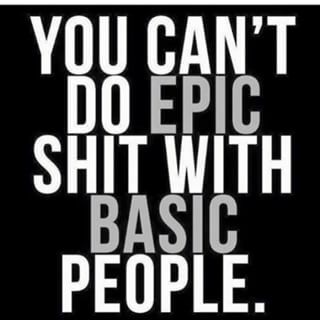 Much akin to being substantiated as self acclaimed guru’s, the lack of knowledge is amiss. In my experience, nothing is more worse than looking upon the downtrodden. Humans poke their noses in matters where judgement is enshrined only for the Divine Being. Problems arise, when we become the torch bearers of morality, ethics, rightfulness and so forth. Ironically, in these cases self accountability gets thrown out of the window. We defy all the peace measures that can usher in an era of prosperity and happiness for the populace. Such a self centered approach is equivalent to inviting destruction of the very fabric of society. Notable absentees are our own moral conscience, reprehensibility on part of the actions constituted. Disgusting as they may be, there is not even a shred of outrage on part of it. The pittance of our own actions isn’t held liable for judgement in a rather unfortunate sense. Whatever I have written above, is in a way to acclimatize myself with writing once again.It is ironic, I have had my work published in Dawn for the best part of over a year now, yet I doubt my ability to write well. I have absolutely no clue as to why I persist in meandering these persistently negative thoughts. This all goes back to harbouring a negative frame of mind, and lacking self belief. Writing is as much an exercise, a fruition of what we think and deliberate over the course we charter for ourselves. As a writer, I do not think highly of myself to be honest and never will. People have always come to the fore that I have immense potential which unfortunately I have failed to exploit. Things will only materialize if I inculcate a sense of self belief and remove all those doubts. I plan to resume writing on my website on a regular basis, maybe this will help me in breaking the ice! Till next time. #WorldDisabilityDay What a display of courage by the Punjab Police! Insanity has its limitations. 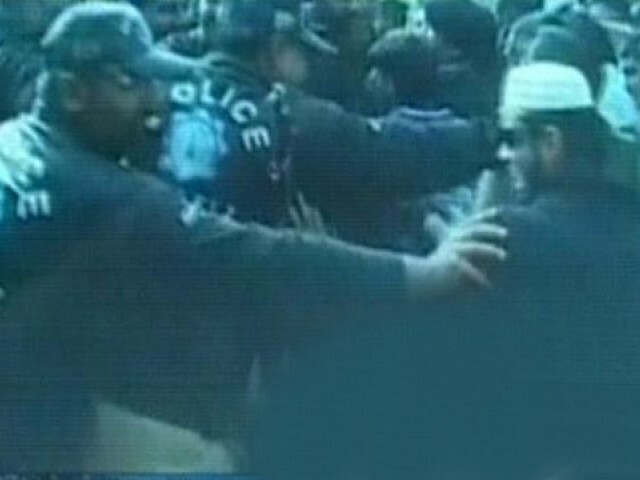 As the world disability day is being celebrated globally with so much fervor and zeal in Lahore, Pakistan, the disabled protestors are being showered with batons by the police! The behavior of these policeman is inexplicable and deplorable. Benign in action and harmless in nature, what was the reason for this unjustified baton charging on these special people who were protesting for their undue rights? The problem stems from the very fabric in our society, where people with disabilities are considered a liability and are lamented upon. They are outcastes in society, deprived of the rights that are only reserved for the abled. We despise them, swear on them, and lack the patience to treat them with affection and due care they are worthy off. The treatment meted out to disabled people is something that is a taboo and does not carry much weight in a society that is predominantly selfish in nature. Being labeled as ‘disabled’ can be equated to being tainted and carries a stigma with it. It is ironic to see disabled people being sidelined and shockingly discouraged to say the least. The psyche of these people is dented by maligning and making fun of them, not realizing what repercussions it can have. The sensitivity of their emotions is blatantly misunderstood and exploited by senseless people lacking any considerable level of humanity that can be associated with such bigots. Majority of us abled people, do not even have a sense of realization of the difficulties and problems that these people must have to go through on a daily basis. They are discriminated against, subjected to undue levels of mental torture and restricted at every given level. They are made to realize of their helplessness and set aside at every echelon of society. They are duly rejected and considered incapable of performing any meaningful tasks that could aid society in any given manner. Over a period of time, the value of disabled people to economies around the world cannot be underestimated. They are honorable citizens in society, have equal rights, given due priority and protected from abuse and unjust discrimination. In Germany, for example patients detected with autism are being hired in renowned organizations like SAP, because of their uncanny ability to decipher long sets of data and unbelievable memory retention skills. They are adding value to the organization and to the economy on a whole, making them self-sufficient and responsible at the same time. In a country like Pakistan, where official figures of disabled people is around 5 million but the real number may be much higher. It is surprising to know that no official survey has ever been carried out to highlight the plight and marginalization of this segment of society. Although, NGO’s and other private organizations are tirelessly working to bridge the gap by raising constant awareness regarding the issues being faced by these people, the efforts are falling short. By official government policy, only 2% of the quota of the workforce is allocated to people with disabilities. Considering Pakistan’s population is over 180 million and growing at a staggering pace, the amount of people born with disabilities would only be increasing. There is a shortfall on part of inadequate government policies to address their issues, lack of awareness among large segments of the populace including the educated elite is mind blowing. The behavior exhibited by the police today in Lahore, highlights the impending reality that brutality is a foregone conclusion and they can persecute anyone they consider as a ‘threat’. They were shoved, pushed aside by the police and maltreated in ways that was highly unjustified and objectionable. From my own personal experience, I can vouch for the fact that disability is given no due consideration, special treatment is scarce in quantity in our country. For example, many shopping malls in Lahore advertising car parking facilities for the disabled are actually being utilized for parking cars by the abled! Buildings lack appropriate facilities to house the disabled and their movements are hampered as a result of it. In normal circumstances, priority is given to people with disabilities, starting from standing in queues to cinema houses where special seats are specifically reserved for them. On a positive note, Cinepax situated in Fortress stadium, Lahore has implemented a strict policy of aiding people with disabilities, by providing them with wheelchairs and escorting them to the cinema hall without incurring any extra charges. It is something to be welcomed and respectively appreciated. The road towards recognizing the due rights and special treatment for disabled people is full of hurdles, a lot of awareness still needs to be raised. I do sincerely hope, that the incident we witnessed today is never ever repeated again. Never subjugate your thoughts and talent. The brain has a limitless cycle of innovation, which should never be suppressed or otherwise you will be made dormant of one thing that differentiates us from animals. The talent and abilities gifted to us by God vary from person to person. Not everybody is a born genius for example? Channelizing our thoughts and harnessing our talents are solely dependent in the way it is applied. ‘Mere’ realization is not enough to progress in life. When we are aware of the fact that we have been endowed with such a wealth of talent, why do such individuals refuse to utilize it? Why do gifted individuals like these end up harming their prospects and being useless? Why are they happy in being portrayed as those who had the promise? What is the reason for their culpable failure in achieving of what they were capable off? 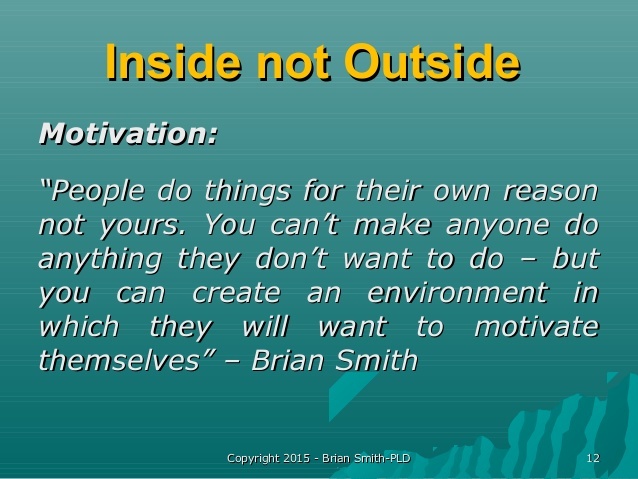 Why is ‘self-pity’ their desired goal? What makes them embrace gloominess where light & hope exist? What is the reason for them finding solace in being alone? What is the reason for this strange behavior? Is it something that comes naturally to these kind of people or are they mired in a conflict of their very own existence? Some people cherish being loners and damaging their credentials. Self-implosion is their goal and don’t want to prove anything to anybody. Some individuals desire a lot of things in their lives, but deliberately stop themselves from achieving happiness. It’s a cliché for them, they fear their happiness will be short-lived and turn abject. These kind of individuals fail to find people who understand their mindset and thought framework. They are confused, talented yet mercurial, unpredictable but capable of being geniuses in their own strand. Their minds are always on a thinking spree, probably over stretching the limits. Their brains are predominantly active all the time, open to taking stress easily and emotionally very frail. They can be recluse from society, intermingling is not their strong point. Characters like these tend to open up with people of a similar intellectual mindset and who have a similar wavelength. They house knowledge, but refuse to emanate and share it in the fear of being judged wrongly. They have apprehensions, afflicted with self-doubt and self-denial of their talents. They are angry from within, obsessed with doing things in a perfect manner. The anger turns into an insidious form of hatred for everyone, are rigidity and irritant in every given manner. These individuals lack patience, are open to bouts of having altercations and are devoid of any self-control mechanism. At heart, they may be good and even merciful. They are hampered by a negative thought framework, they harbor doubts and have severe trust issues. Individuals like these will always tend to keep a low profile, have self-belief issues and are downright lazy. 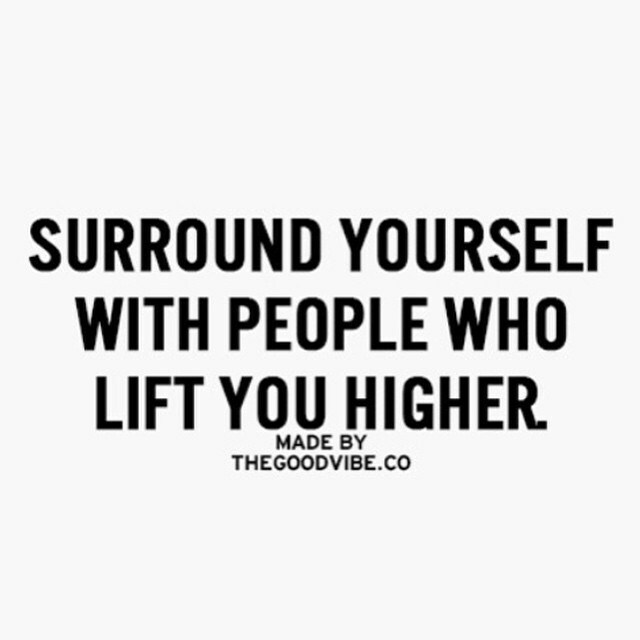 One quality that these kind of people possess is; they will go out of the way for those who are genuine to them in every given way. Individuals like these are very oblivious, house uncertain beliefs. But within them, the illumination of hope to contribute must still exist. They are victims of their own uncertainties, refuse to garner the strength to cultivate their talents. They will deliberately undermine themselves, pretend as if they do not know anything. Problem with them is, they are never satisfied. They will go on a quest to earn knowledge and do anything within their power crossing limitations to garner it. It is important for them to realize that they have to rekindle the hope of contributing to the well-being of society, inter-mingle and come back to the fold. Their value is of immense significance to society and engaging, encouraging them is the process that needs initiation. They have to be coerced into making a comeback, backing them up is of critical importance even if they are prone to committing mistakes. Rejuvenating their spirits, taking one small step at a time to make them believe in themselves is where the miracle can happen. Of course, all the effort has to come from within the person, irrespective of how much bolstering and encouragement they are provided with. Point is, hope with these kind of individuals should and never be lost at any cost. We have to keep on egging on these kind of talented individuals, motivate and cultivate their self-belief. You have to provoke their inner conscience, bring out their real talent and interests out in the open and lighten them up. In most cases like these, they become a victim of their own self-created conflicts if not understood and take care of properly. It is our duty to society to earmark, find such brilliant individuals and bring them out of their shells. In doing this, we can probably help in broadening their horizons, enlightening their lives with hope and a new purpose in life. The journey is always endless and the pursuit for people like these should never cease. Using Twitter yesterday, I came across a trend that enraged me, City Wars in Pakistan. This topic needs to be put under the scanner in the context of national interest. As we persist with this attitude of melancholy in terms of city wars, we do not realize the forces of self-immolation being unleashed. No stone has been left unturned in us mobilizing against each other, passing racist remarks, showing dis-contempt and a complete lack of tolerance. It may sound obnoxious, but this is something I intend to discuss in the next few paragraphs. The animosities between the different cities in Pakistan, has existed since time immemorial. Whether we reside in Karachi, Lahore, Peshawar or Quetta for that matter, some kind of resentment has always existed in the hearts of the native residents living in these cities towards each other. There is a tendency for us to forget that we all at the end of the day, are Pakistani’s. Collectively all these cities in their own respective way form the core and heart of the Pakistani economy, history and culture etc. Karachi’s significance economically is so great, it has a deep sea port, a trading hub locally and internationally. It is an industrial might, cosmopolitan in nature much akin to Mumbai. Its contribution revenue wise to the national exchequer is unrivalled. As Karachi remains engulfed in violence, innocents being butchered and so many 100 of families losing their loved ones, the resilience of its citizens is still very much there. 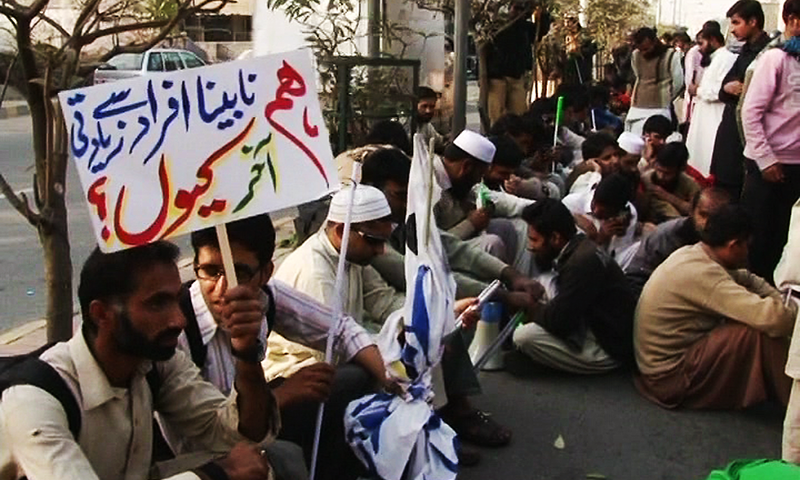 Irrespective of the insecurities, Karachi thrives under the shadow of preemptive strikes, violence and so much more. It is a testimony to its nature as a cosmopolitan city, that it still stands still even amidst the backdrop of the mafia and elements trying to destroy it. Those who live there, swear by its uniqueness, way of life and the pleasures it gives them. Karachi is the heartbeat of Pakistan! Now coming to Peshawar, a city of immense importance in every context of the word. It is considered to be the earliest living city of South Asia. It has said to have preserved the remnants of Greek, Persian, Buddhist, Sikhism, Muslim and British Civilizations. A city with such a rich history and cultural heritage is something to be proud off. Peshawar has borne the brunt of violence in this War against Terror waged by the Americans since the aftermath of 9/11. It has been ravaged by deadly bomb blasts, sporadic rocket and mortar attacks in the last decade or so. All this bloodshed and the massacres of innocents has left the city in a state of mourning but even then the resilience of the people of Peshawar is absolutely mesmerizing. Same is the case of Quetta, the capital city of Balochistan province, and mired in conflict and violence since the last so many years. Peace and tranquility is something both these cities Peshawar and Quetta are bereft off. The element of fear and insecurity exists, but even the aftermath of it, all the citizens go about their lives resiliently hoping for something better. They have never ever given up hope. Among all this despondency, bloodshed should we indulge in ridiculing these cities? Do our shoddy mindsets, who bring up these city wars, even realize what are our brother and sisters in these cities are going through? Do we even realize, the seeds of discontentment being sowed by us. Mocking each other on Twitter or Facebook, for that matter is a very easy thing to do. We are already so divided and intolerant, this kind of hatred for each other will only fuel the flames of further discontentment. In these difficult times, especially for all those families in Karachi, Quetta and Peshawar who have gone through the pain of losing their loved ones what impact can these city wars have on them? Instead of joining forces to ridicule this silly campaign, we are hell bent to ensure that we end up in self-destructing ourselves. Divisions among the populace, lacking a coherent policy of reconciliation will only broaden it further. The practice of hatred and racism in the context of cities is downright disgusting. This does not denote our sense of patriotism in flaming this hatred against each other. Harbouring of these negative thoughts has to be shed and a pro-nationalistic agenda needs to be adopted. 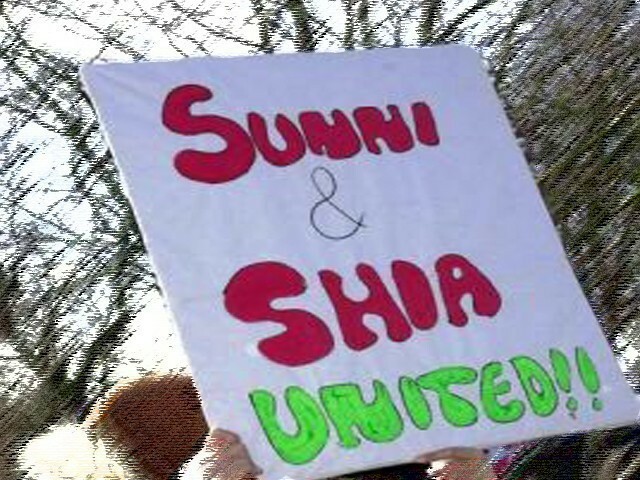 And here I remember the old classic saying: “United we stand, Divided we fall”.